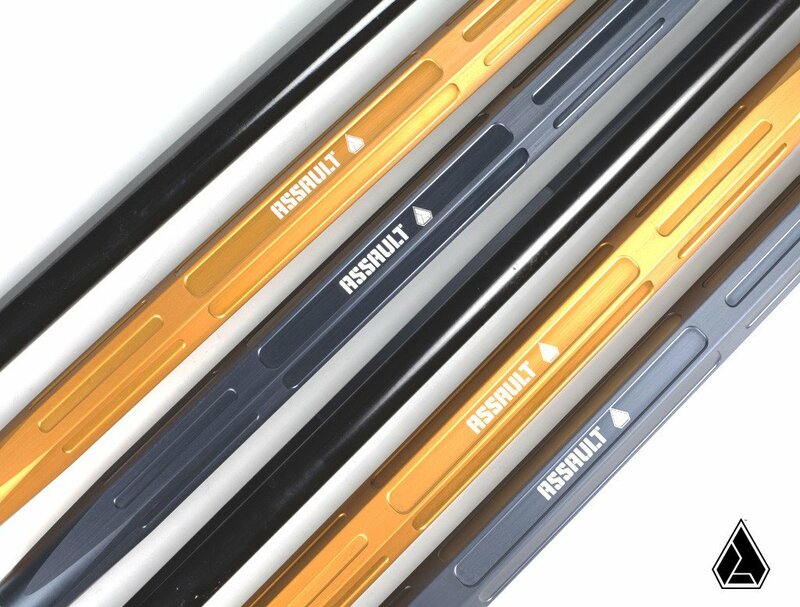 The Assault Industries turret style heavy duty tie rod kit for the Can-Am Maverick X3 is made from high strength 6061 T6 aircraft-grade aluminum and is designed and manufactured in the USA. This kit eliminates the factory break points while retaining the factory clevis assembly. 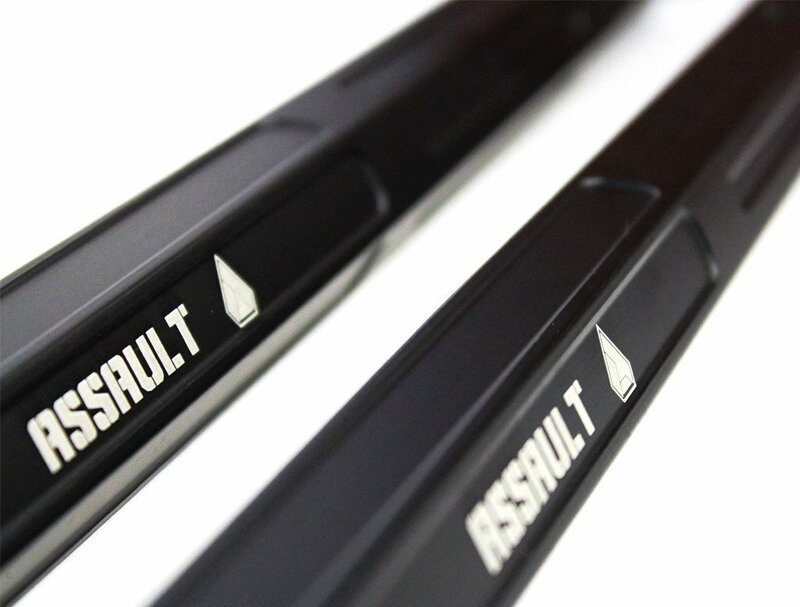 The tie rods come in a hard anodized matte black finish with the Assault Industries logo laser engraved so everyone will know you run the best of the best! The kit comes complete with everything needed for installation. Assault Industries heavy duty tie rods are a direct bolt-on OEM replacement and do not require any modification to install. Don't get stranded out in the middle of nowhere! 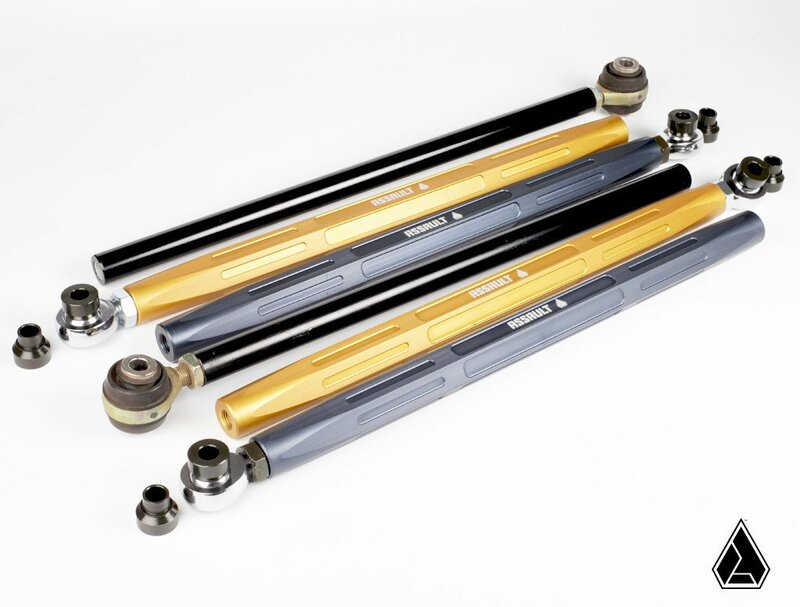 Get the most rugged tie rods available for Can-Am Maverick X3 UTV's!